JBL's powerful 3.1/5.1-Channel wireless soundbar & subwoofer systems are $100 off, deal ends today! If you're looking to add a serious audio boost to your home theater experience, then Woot's daily deal could be worth checking out. 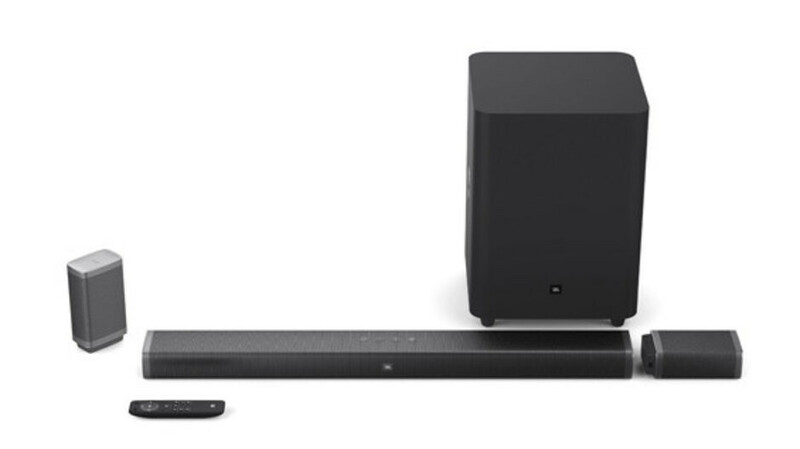 The e-commerce site has two JBL-branded soundbar + wireless subwoofer systems on sale. Both the 4K Ultra HD 5.1-Channel and 3.1-Channel systems are currently $100 off, with each respectively costing $500 and $400. The soundbar of the 5.1-channel system features two cool detachable battery-powered wireless surround speakers with 10-hours of playtime. When you add the 10” wireless subwoofer, you get a total system power of 510W. While you don't get cool detachable speakers with the more basic 3.1-channel model, the smaller system still manages to pump out a whopping 450W of power. Both setups feature JBL Surround Sound and Dolby Digital for a great audio experience. Also present on both are 3 HDMI inputs and 1 HDMI output. JBL's special SoundShift tech is also on board the two, allowing you to instantly switch between sound from your TV, and sound from your mobile phone or tablet. If this deal interests you, feel free to follow the above link to Woot. Delivery for Amazon Prime members is free, while everyone else needs to pay $5. The offer ends in 13 hours from the time of writing, so you might want to act fast. Your article is very good for me. This article will help those who need a good subwoofer for car. we have a gorgeous powerful subwoofer with Deep Bass, so that when you drive you will enjoy a lot of music and you will find much peace in mind. Find a strong subwoofer for your car which will give you a golden feeling of music so you will find super sound strong deep bass full of power. You will find a subwoofer The best slim line subwoofer this subwoofer is ideal for your car.